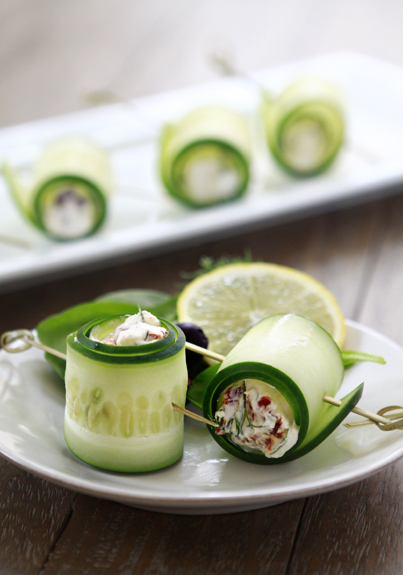 Place 1 - 2 teaspoons of mixture at one end of a cucumber strip and roll up. Secure with a toothpick. Repeat with remaining strips. If not serving immediately, chill until ready to serve.